Let's face it, we are all aging, and no matter where you are in the process you may be feeling that you are becoming irrelevant. I have noticed that the more I age, the more I am pushed aside by society. It is as if only the younger generation are relevant. Advertisers target the 19 to 39 year olds. They want their money. The workforce forces out older workers. Television shows cater to younger viewers. I want to stand out in the middle of the street and yell I may be aging, but I will not be made irrelevant. With my luck I would probably be run over by a young driver who couldn't see me because to him/her I was invisible. Since when did aging become a sin? 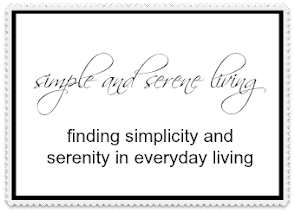 Why is it that in our society wisdom, accumulated through aging, is no longer valued. There was a time when it was children who were expected to be seen but not heard. 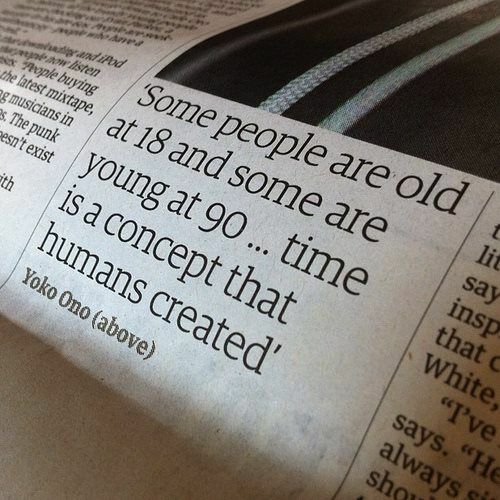 Today, it seems that this applies to older people, and I'm not sure that the young even want us to be seen. Is this a byproduct of a society that is so rapidly changing no one and especially older folks can't keep up. Is it because younger people don't believe that they will ever be old, or is it because they know that they may become old and don't want to face it. There are some things I really hate. If you are young don't patronize me. I am not senile, and even if I was that doesn't give you the right to treat me as if I have no idea what I am talking about. Don't under any circumstances call me honey. I am not now nor will I ever be your honey. Don't call me baby. Do I look like a baby. I don't think so. I want you to know that I am definitely not done yet. In fact I feel as if I am just beginning. There is a lot of life left in me and no matter how hard you push me, I am going to push back. I may not be as fast as I once was, but I will make it to the finish line. We all will. Along the way I still have a whole lot of living left to do, so don't think I will allow you to make me irrelevant. P.S. I would love to hear your thoughts on this and if you would like to see more posts about women's issues you can find them here. P.P.S. I am adding this quote from the wonderful Annie Lennox because it speaks so well to this post. I've often felt the same. Well said. I'm with you and I'm not done yet....might be a baby boomer but I'm still going strong! Good for you, Sissie. We baby boomers are strong women. I am with you on this one 100%!!! I'm surprised, Gwen but happy you aren't experiencing this. I worked in Hollywood for several years and ageism was rampant there. I hate that other people your age talk down to you. That is awful. Everyone tells me that I am young looking for my age, too but I haven't found that people my age use that to talk down to me. Now one has the right to to do that, Rosezeeta. Ok. I'm just going to be honest here. Do not take this personal but my mom has said those same things to me before. She is almost 82 but is still very caught up in her appearance etc. I don't think there is anything wrong with that except it seems at this point in her life she should let some of that superficial stuff go. She complains about being thought of as having no worth in society. I don't think that about her but she's hung up on that. I know where this is coming from. It's her own insecurity about aging. I am 50 so I'm not young anymore but I'm not old either. I'm just now experiencing older age issues creeping up on me. So I'm divided on the subject. I don't know what it's like to be in an older persons shoes but I do know that I don't want to let other people's opinions of me (no matter what age) change the way I think of myself. You can't change what others think only what you think. So don't let your self worth be dependent on others. I hope I will have the confidence that I've always dreamed of when I reach a more mature age. Isn't that what we strive for? Kelly, I feel the same!! I'm thinking about your response, Kelly. As for your mom, I see it two ways. Her generation was socialized to believe that outward appearances were the most important thing for women. To a certain extent, I was socialized the same way growing up. However, being part of the baby boomer generation I along with others of my generation forged a new path for women. Other people's opinions should never affect the way a woman feels about herself, and I am so happy to hear that you are not allowing that to happen. My message is to those people who are trying to take us back to an earlier generation. It is a message of positive affirmation for all of us. Thank you so much for your well thought out response. I remember when I used to think that my age now was old. I knew it would come but not as fast as it did. It's not so bad . What does bother me is everyone trying to look younger at all extremes. Since my hair has been white for so long I think made others think I was a young blonde hah. R ntil they found at. But then sometimes they thought I was a blonde hah. I like that, Debby. I like my age and I really don't go to any extreme measures to look younger. We should all recognize that we shine no matter what age we are. Great post, Laura! He probably ran over you because he/she was texting! When I was a kid, older folks were to be respected and honored. That is not so today. No, unfortunately respect seems to have gone out of style. How sad for our society. Try being older and overweight. Now that's a combo! I want to say to the buyers and designers, "Hey fat people want to look good too!" I don't want to look like a granny even if I am one. I hate it when my children act like I can't hear (even though I can't) and take the voice up about 10 notches. The career group that I teach at church says with me right there, "You'll have to speak up. She can't hear." Now, being from the south we call everyone honey, sugar and baby so I'll remember what you said when approaching strangers. Great post! Thank you. We definitely tend to add weight as we age. I used to worry about it more than I do now. Now I just want to feel healthy. I like looking nice, but I am not trying to compete with 20 somethings. I have no desire to go back to that age. Designing only clothes that appeal to younger women is definitely one of the things I was talking about. We don't want to wear granny dresses, but we don't want skimpy little clothes either. I feel as if I am just getting rolling, not finished. My biggest beef right now is who in the world are they designing clothing for? I am not a skinny 12 year old, I have curves. I still work outside and need clothing that is sturdy. I want pockets in my pants. T-shirts need to cover me, not stop above my jean's waistband. Flat shoes do not have to be so ugly. roar I would love to spend my $$ on some cool clothes but no one seems to make them for me and my lifestyle. The clothes are just the tip of the iceberg. So, yes, Laura, I hear what you are saying and am right there beside you. Thanks, Jane for the tip. I love how you hit the right topics for so many of us and I hope you keep doing it. Not sure if you respond in your comments but I rarely come back to a blog twice...I really wouldn't remember to. That said, I leave a heartfelt comment and never know how you are responding to it. Food for thought. An email reply? I really do love ya! This topic...oh wow. I feel it when I am with my daughters and younger female relatives. So out of the group, yet sitting with them because there is no one else my age to bond with. I'm 54 and my oldest SIL's are upper 40's. They seem to fit in with everyone...maybe they just feel okay with it. I feel like I'm shut out in the convo. Even if I were a size 5 and wearing fashionable clothes (and I do in spite of being overweight), I feel like they just don't "see me". After a recent home party, everyone was planning to go to a pub. My husband was already there along with all of the other guys. I said I would be going with and my daughters were sort of uncomfortable...oh mom, you really don't want to go. Was I going to embarrass them? My hubby was there!! I'm pretty cool. I spent most of my 20's bar hopping and leaving guys in the dust. So sad that they pegged me as a fuddy duddy. And maybe embarrassed...how hurtful!! I'm so sorry that you are missing the replies, Jane. THere was a time when I responded by email, but it became overwhelming so I was happy when Blogger added this feature. I will send yu a copy of this reply so that you will know that I would never ignore you. I love having you visit and comment. I often feel out of the loop with my daughters too, Jane. Even though they are in their thirties. I don't think they mean to do it deliberately, but they are so close and spend so much time together that they just know each other better. Does that hurt? yes, but I am trying very hard to overlook it. I do think that the older they get, and once they have children of their own that it gets better. I feel quite certain that you are very cool and stylish. Don't let them discourage you. Especially if your hubby is there. Go and have fun. I hope you know that we are always here to support you. That's what friends are for. I guess I don't give much thought to growing older. I'm very active and have three part-time jobs, my blog, hobbies I love and swim several times a week. I think maintaining a sense of immense gratitude, mixed with a positive outlook, helping others on a daily basis, and being useful are all anecdotes to growing old. Writing is incredibly therapeutic, too! And paying plenty of attention to the inner child within! I feel your pain! We have value, right up until the moment when we breathe our last, and actually beyond, if our influence and wisdom we've gained count for anything. I too hate being called Honey or Dearie. It's very condescending. Great post, Laura! Exactly. It is so important for us to realize that no matter what we always have value. My pet peeve is clothes shopping at this tender age (70 in February). I'd like something stylish and attractive for my body shape and size, not a skimpy mini whatever that doesn't cover anything or an old ladies' dress that makes me look like a balloon. We certainly are invisible to clothing manufacturers. Help! I just adore the quote you chose. It is very, very true. What an interesting post and Annie looks beautiful. Love the quote. I think that our culture in general, for what reason I am not sure, doesn't start us out reverering our elders. Oh we love our grandparents and all but there is something missing in the general mindset about our elders. I think it is more prevalent in the East ? Or did it change mid-century. As in our parents and grandparents used to live with their children and later that all changed? I think you are right on all counts, Deb. I can remember that as I child in the fifties I respected and loved my grandparents and I felt nothing but absolute love from them. I believe I learned so much from them. Somewhere along the way that has all changed. I recently became a great aunt twice this past year. I am a mom of teenagers, I have a master's degree in elementary education, I taught preschool, kindergarten and first grade for years...and yet, it's amazing how little I know about children according to these new parents! ;) I remember looking to my older sisters and mom for advice when my kids were small. Not these kids, they know it all! yes, yes, yes, yes!!!!!! I learned so much from my aging family....I think my poem speaks to my similar thoughts on aging, and as I am retired now at a young age mind you and aging, I have loads to say....there is a lack of respect and boundaries in our society...and it shows in how we cast people aside for a number of reasons....but the baby boomers are aging and we have never been a silent group....I have a feeling the young will have to listen whether they like it or not. I love this post, Laura...I admit that I have had the thought that aging is a slow process to becoming invisible. I think it's why I want to continue to grow, learn, and be present in the moment. I so enjoyed this post too, what I find happening with myself, is as I get older (64) I feel I feeling insignificant! That because I am older I am no longer valued, I think are other looking at me as a has been? Or is it because of my age that's what I'm feeling and project. Whenever I see the elderly, I always say hello or start a conversation because I love the elderly...well most of them. So I feel I am in transition. The only thing that bothers me about aging is it means I'm that much closer to dying, and I enjoy life way too much to not let death bother me. i doubt they have chalk paint in heaven, much less my own craft space, so unless I'm guaranteed that stuff I'm not going anywhere anytime soon. As for being invisible, yup, it happens. But there's a certain calmness that takes over when you know you can walk past a construction site and not get whistled at. Even nekkid. Or should I say, especially so?